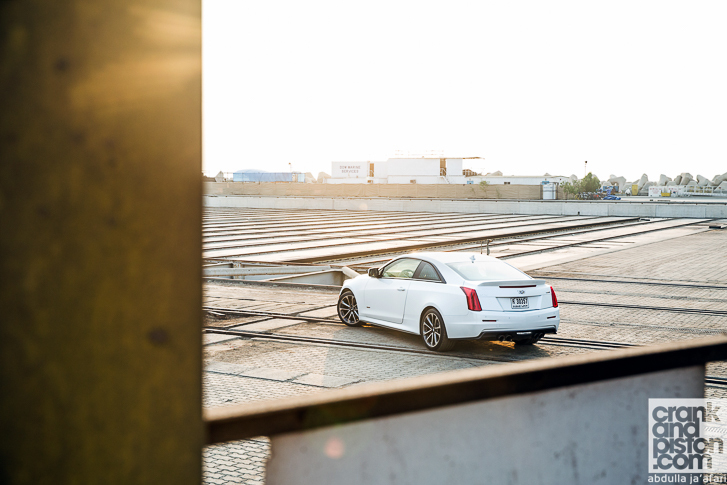 Following time on-track, how does the ATS-V handle the real world? 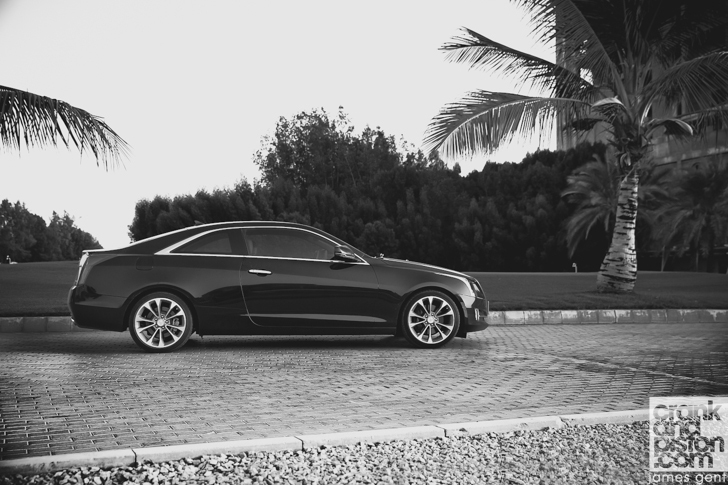 The design is still a considerable feather in Cadillac’s cap, despite being close to five years old. It’s a testament to both the build quality and upmarket materials that it hasn’t started to date. Having said that, I can’t help but feel a little letdown. Since the majority of the exterior panels have been moulded exclusively for the ATS-V for added aerodynamics, one might have assumed the cabin would receive similar ‘V’ treatment. Not really. 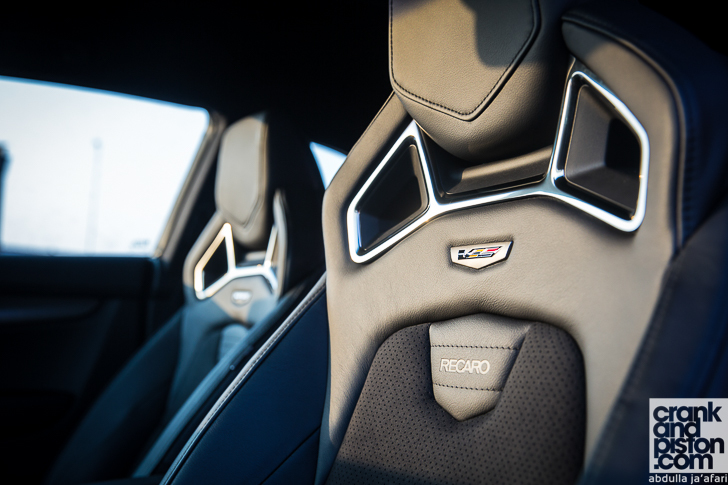 There’s been little weight saving on the inside, save the lighter Recaro performance seats. Aside from the ‘V’ on the girthy steering wheel and the Performance Data Recorder provided by powerhouse Cosworth, there’s barely any difference to the ATS Coupe cabin: tilt the sports seats forward and the misguided mounting of the front seatbelt at ankle level is still there, ready to trip up passengers who have, through impressive contortion, managed to squeeze themselves onto the back seats. At times, I forget that I’m in a 464bhp sport saloon at all, and surely that’s hardly the idea. On the open highways and through town is mostly spent in ‘Tour’, with the occasional switch to ‘Sport’ when the traffic begins to clear. Don’t expect sumptuous ride quality. The stiffened suspension really is too taut for that and the Michelin performance rubber creates more road noise than expected over the standard ATS Coupe. But don’t expect an overly jarring ride either. Sure, there’s a raw edge to the cruise and some additional headroom wouldn’t go amiss, but there’s just enough suppleness to the damping to make long haul runs reasonably comfortable. Ditto the steering, which is nice and gloopy for ‘rolling around town’ mode, although since we enjoy being pedantic at crankandpiston.com, a little added weight wouldn’t go amiss to keep the front wheels reigned in. Gear changes meanwhile have softened considerably from Track, though the changes are still oppulently smooth. Interestingly, the insistence of the engine is unchanged: even under gentle acceleration, low down torque offers formidable pick-up. Be wary when you gun it though, since that front splitter hides a low ride height. 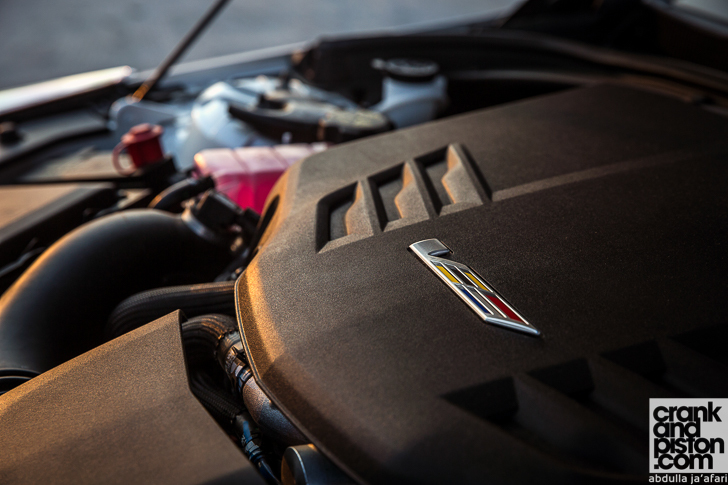 These are modest niggles though, for in all honesty, Cadillac has produced something truly special with its first V-Series ATS. The ride quality might not be as supple, the cabin design could offer more room and more V-Series ‘wow’, and steering in Comfort is arguably too wafty, but it’s not enough to take away from the brilliance of that handling and the pick-up of that engine. 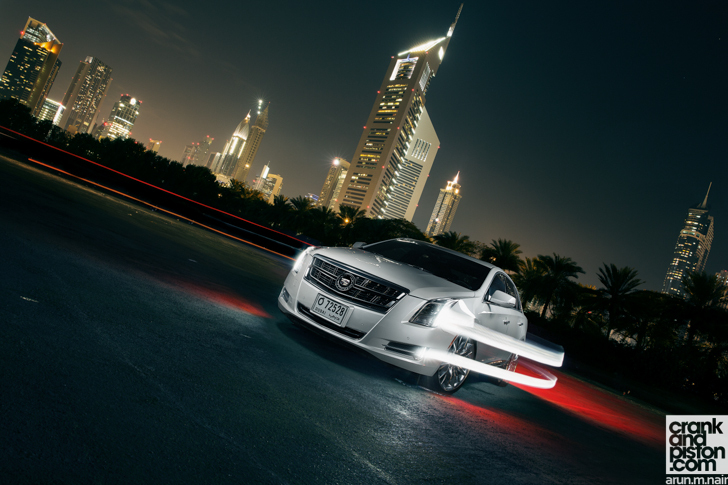 2014 Cadillac XTS Twin-Turbo. REVIEW. Night and day?